Paris Kevin Kyne was a master milliner who dressed the heads of celebrities such as Kate Cebrano, Melissa George and Paris and Nicky Hilton. Paris and I shared a friendship since year 2000. We entered competitions together and over the years, we developed a very strong business relationship. With Paris, there was never a “no, I can’t do that” or an “I’m too busy to do this”. He was always up for any project presented to him and he put his all into every venture. We soon developed a strong, close team, along with La-Toyah Asha and in 2011, we won the BMW Caulfield Classic Style Award. The hat that accompanied our win was one of Paris Kyne’s brilliant master pieces. On the 30th of July 2013, Paris passed way at the young age of 47. He was, and still is, mourned greatly by friends, family and those who looked up to him. This sudden and unfortunate incident affected many. On the 30th of July 2014 marks Paris’ one year death anniversary. To celebrate Paris’ life, we held a French Vogue Inspired photo shoot at The Thornbury Theatre where we used head pieces that we purchased from his master collection as a tribute to his treasured life. Below are two of the photos from our recent photo shoot, featuring La-Toyah, wearing a head piece made of Paris Kyne materials, put together by his assistant milliner, Margaret Addis. 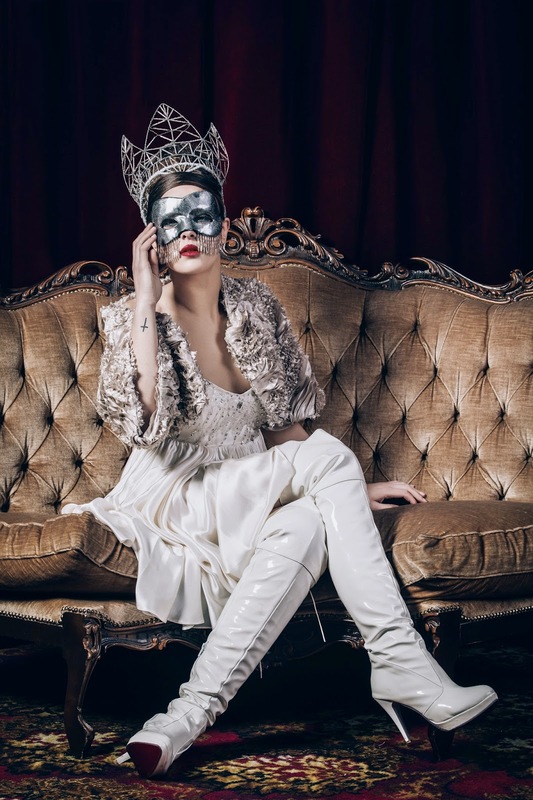 The second photo features model Caitlin Mikheal wearing a mask that was part of Paris’ collection. Paris may have passed on but his memory and glorious work will live on with us forever.